Sure we were all very excited on the day Michael Jackson revealed that iconic moonwalk that will forever go down in history, but was it really because of the fact that he was able to walk backwards in a really sweet way? We think our love for this sick dance move was mainly based on a different reason. 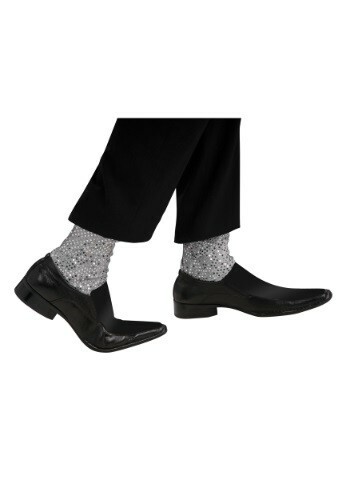 Out culture has always fallen in love with shiny things and with that fact alone we would like to argue that the glittering socks Billie Jean's (not) lover was sporting that night really pushed his finishing move into immortality. We're honestly surprised these guys didn't catch on like wildfire along with the dance. They're probably not as comfy as a pair of wool ones but who cares when people are so mesmerized by all those sequins dancing light around the walls? We rest our case. Snag a pair to really authenticate your costume.